Is Your Iodine In Check? – Why Am I Unhealthy? Simply put, iodine is considered to be what is called a “trace element.” It’s found in a few places, but the most abundant, and most accessible source is found right where you may least expect – our oceans! That’s right! Our seas offer more than just fish ;) Actually, a lot of great things come from the ocean, but that’s all for another day. For now, let’s talk more about why your body needs it for optimal health. That little fleshy patch by your larynx, trachea and all of that cartilage in your neck is where this wonderful little endocrine regulator is located. Although it’s relatively small, it has a HUGE list of duties within the body, and this all ties in with iodine on multiple levels. The thyroid gland uses iodine to make our very important thyroid hormones. The hormones I speak of here are also known as T3 and T4. Again, extremely important! You definitely don’t want any type of severe imbalances involving these endocrine rulers. Studies actually show some troubling results for those who exhibit such imbalances, and to note, none of them seem all that pleasant to deal with in my opinion. So, there are many complications that can accompany this inequity, and they all have their general downfalls. Let’s start with hypothyroidism. Hypothyroidism: This is a condition where the thyroid gland does NOT make enough thyroid hormone, and this is certainly bad for one’s metabolic function. In many cases, different degrees of inflammation can cause this “Hypo-like” scenario to occur. And if you don’t already know, inflammation is very damaging. So much that I feel it is (in a lot of cases) the root cause of many illnesses – many are inflamed today! In regards to the thyroid gland itself, relentless inflammation has the ability to kill the surrounding cells, which in turn, can then lead to its cyclical breakdown processes. Chronic thyroiditis, also known as Hashimoto’s disease, is another degree of thyroid dysfunction that affects about 1%-5% of adults in Western and/or modernized societies. It’s a degree of thyroiditis in which the immune system begins attacking the thyroid gland- yea, not so fun. 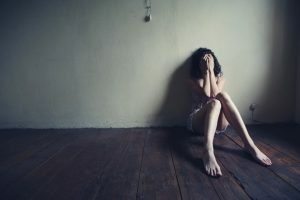 Obviously, this is considered to be an autoimmune condition being that the body is attacking itself – a very discomforting state of health to say the least. And another thing I’d like to note here is that all degrees of thyroid dysfunction are dangerous. Each gradation has it’s own set of downfalls; this is why it’s such an important area to address. There is no upside to having a lesser degree of any condition when all outcomes can be so devastating. I say this simply because most are misled on such disorders. Thyroid complications being a prime example. This is why it must be talked about. Ok, now that a lot of that is clarified, let’s peek into the HYPER side of the equation. Remember, “HYPO” means low, and “HYPER” means high. Hyperthyroidism: This is a condition in which the thyroid gland produces too much thyroid hormone. This state of being overactive can present it’s own unique set of risks and downfalls; ones that are different from what we had discussed earlier, but equally dangerous. As with the previous description, inflammation can cause this as well, as can tumors, and getting too much iodine (amongst others things, but I won’t go into extreme detail here). One thing I frequently preach is for people to not get too caught-up on their symptoms; they’re often hard to assess. The reason I say this is because it seems as though all symptoms can relate in some way, shape, or form to one another. One who suffers from a thyroid condition may exhibit the exact same symptoms as one who suffers from adrenal dysfunction, etc. It can get very confusing. I talk about this habitually because when one’s focus is set entirely on symptoms, he/she will not get very far in regards to healing their body. Personally, when working with clients, I use symptoms as markers for certain degrees of body dysfunction, but I never fully rely on their presence to make an accurate evaluation. To put it all simply, symptoms often have the ability to cloud one’s judgment. So, now that I’ve gotten that out of the way, let’s get back to iodine. As you can see here, there is a balance that must be obtained if the thyroid is to function adequately. Too much hormone activity can be a problem, as can too little, so what is one to do in this case? 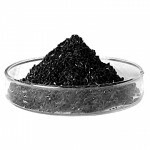 So one of the best courses of action is to be aware of your iodine intake. 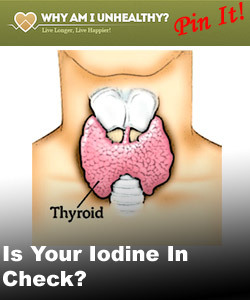 This is proven because science has shown us that iodine is the base for activity in this specific region of the body. But wait, the salt I use is iodized! Ok, I may give you credit on the salt debate, but is this “white salt” really all that good in the first place? This is hard to answer, I’m not a fan of plain old white salt, I much rather use Himalayan salt because of the life-yielding properties it possesses. And although some swear by using the conventional stuff that is so conveniently laced with iodine, I’d much rather get a supplement (high quality), or simply up my intake of sea vegetables. That’s right; veggies from the sea are quite concentrated with iodine! This is why I’m so adamant on pressing people to eat more of them. On top of all that, white salt is often contaminated and toxic to some degree. So in the end…I’m not a fan! I’m big on incorporating salt into my diet, just not that mainstream junk. Taking the sea vegetable route just seems more natural to me, and it’s a technique that I trust. Something else I find troubling is how conventional salt is also in a lot of processed foods today, and I definitely don’t recommend increasing the consumption of these selections, even if there is iodine in them. Put it this way, keeping everything of natural quality will react best with your body, and that’s the simple truth. 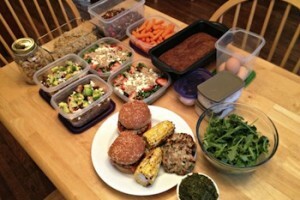 It’s all about eating in accordance with your own metabolic type, and by keeping everything natural. All of this chemically engineered stuff has got to go! And I strongly feel that mainstream, conventionally produced white salt falls into this category. It’s like “enriched” white rice. 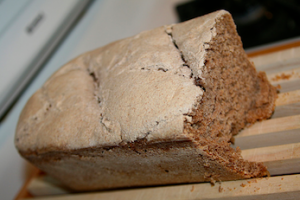 Stripped of all benefit (if any), and then loaded with lab harvested vitamins and minerals. Will the body like this? I doubt it! So if you are to avoid an iodine deficiency, or you suspect that you may be low in a few of these areas, you should definitely start with some type of sea vegetable regimen. This is, by far, one of the best ways to address this issue. I’ve been on top of my iodine intake for some time now, and feel that my thyroid is operating much better because of it. I can honestly say that my metabolism and overall metabolic function has improved over the years. Not only have my energy levels increased, I feel that I can balance my weight more efficiently and put on muscle much easier than before. I know it sounds crazy, but trust me, this truly works! Now let’s move on to the dosage issue. Anyway, I feel that if one is able to legitimately clean up his or her diet/lifestyle, their body will tell them how much they truly need. If the human body is less polluted, less contaminated, and in a more balanced state, don’t you think that this newfound purity will allow that person to be more in-tune with what they require? I’d say so! I say this simply because I have had a similar scenario occur in my life. Now, it’s as if I can legitimately hear my own body more efficiently, and this is a direct result of how I have taken away all that was polluting it. I was a mess before, and now that my system is much cleaner, I can feel when I need something. This is simply my own experience, and most definitely will not be the same for everybody. But, if you’re looking for a general guideline, I’d say around 160 micrograms is somewhat appropriate, but this is not sufficient enough in many cases. Some people can handle much larger amounts of iodine, but you definitely don’t want too much though, or you’ll fall into the “hyper” category as discussed earlier. Remember, there is a balance here, and getting to this point can be quite tricky. I also want you to keep in mind that only a portion of the iodine within one’s body is located within the thyroid. The rest can be found in the eyes, intestines, and even the salivary glands (amongst other areas). This again, goes to show that many regions need to be in check if health is to prevail and stick around for a while. It’s all about getting to that balanced state, and this is what’s so important to realize. The body is an efficient machine that needs to be in tune if it is to run properly. And iodine is just one of the many pieces that fits into that giant puzzle. It’s impossible to say that iodine has only one role within the body. In reality, it possesses more of a universal effect on many organs and physiological actions. Below is a list of other areas (and studies) that I feel are vital in uncovering iodine’s overall importance. So that’s thyroid/iodine 101. I know I probably left out some details or certain bits of information that you may have been looking for, but hey, I can’t always cover everything. I’m here to distribute all that I can within an acceptable amount of time. If you’re looking for more documentation or material regarding the thyroid issue, I’m always available to chat. One thing I’ve found over the years is how being accessible is valued more so than just typing out posts. As you know, I’m here to inform, but I’m also a person who enjoys connecting with those whom I’m trying to reach. I feel that by connecting with my readers, I’ll have a better chance of actually changing their lives and reforming their health from the inside out. Ohhh, and as always, the links below have some cool information regarding our topics today. Check them out!